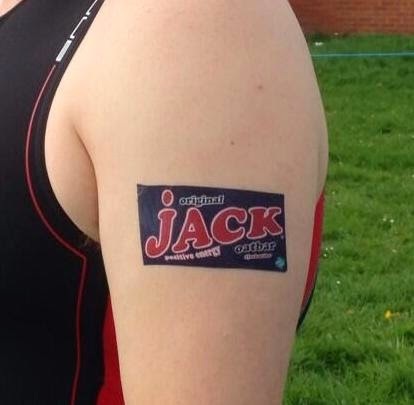 I saw on a tweet from @jackoatbar the other week asking for a brand ambassador to race the Desford Triathlon. Luckily I was the first to respond and promptly secured my place in the race which was being held by RaceTime Events (who jackoatbar sponsor). The race is a 400m swim, followed by a 18km bike and a 5km run across fields. My Dad came over to support me for the race and kindly offered to drive me to the event. I packed for the event with my new trisuit which I have had printed with the logos of companies who have supported me so far. I also decided that today would be the first time I would unleash #Rinnie. I didn't want to use her last weekend as I thought the course to hilly for my TT bike. Before the event I asked the organiser if the course was suitable for a TT bike. he said yes so it was #Rinnietime. I also decided to use my new Giro Air Attack Shield helmet. Me and Dad arrived in Desford and I promptly registered and racked my bike. I then applied some jackoatbar temporary tattoos to take part in some guerrilla advertising. I familiarised myself with the ins and outs of transition and made my way to the pool. I got in the water and prepared myself for the next hour os so of racing while I waited for the off. I set off on the swim and was slowly gaining on the other swimmers in my lane. I didn't catch anyone this week though but managed to exit the water in 6:23. Although this was 11 seconds down on last week, I have to take the positives. I cut short Tuesday's swim due to a injury in my shoulder buy my physio seems to have fixed me. I exited the water as the first swimmer from my wave and jogged to transition. So after being caught in T1 and losing all the hard work I had done in the pool I jogged to the mount line in my cleats. Clip clop, clip clop. I mounted #Rinnie and could not clip my shoes in. AAAAARRRRGGGGGGHHHHHH, the swimmers who I had dropped in the pool had now overtaken me. Like I said I must work on my "semi flying mounts"
Now let's see what I could do on the bike leg. I hadn't driven the course but had heard some of the other athletes saying there were a few surprises in store. Oh great that meant hills. So I started putting the power down as soon as I was clipped in and after about half a mile noticed a slight incline in the road. This carried on for most of the next 4.5 miles. Great I had done about half the course and had only spent under one mile going downhill or flat which meant I had been climbing for nearly four miles. Surely the must mean the second half was mostly downhill. You'd think so but it felt more flat than downhill. I made my way back into Desford and had unfastened my shoes too early. I must have been pedalling with my feet out of the shoes for over half a mile. I dismounted and jogged to T2. I had racked my bike and thrown on my trainers. T2 flew by which is a good thing and proves I am getting quicker. Now it was time to see if I had the mental strength to bury my demons as discussed in my last blogpost. I decided to trust in my #runboss and keep my HR in zone 3. The run course was a 3 lap course across fields and to prevent a recurrence of the injury sustained during last weeks off road run I had purchased some more aggressive off-road trainers. Running off the bike never usually bothers me but today I didn't feel that comfortable. I flew (for me) through the first mile in 7:59 but hadn't settled. The course had a nasty little sting in the tail about half way round with a short sharp hill. On each of the there laps this hill seemed to sap my energy. My Dad was there to cheer me on through each of the laps but I was in another place mentally and knew he was there but didn't acknowledge him as I was concentrating on the task at hand. After about 1.5 miles I noticed a burning on my right foot. Note to self "I should've put my socks on in T2", I stopped to quickly retie my laces. Damn it the burning was still there. Onwards we go. At the end of the second lap I finally found my running legs and settled into my running. I still kept my HR in zone 3 but I just started to feel strong. I even started to reel in some runners. What was that about? I overtook three runners within 50m of one another. Wow this was a new feeling. I don't think I have ever overtaken a runner in a triathlon. I ensured my HR stayed in Z3 for the rest of the run. I crossed the line in a time of 1:08:12 and was thrilled to bits. 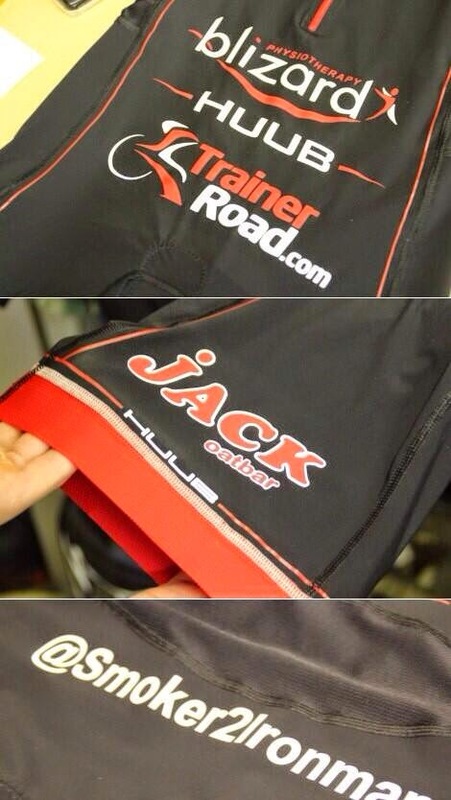 I was honoured to have completed this race as an ambassador of jackoatbar but was elated with my times. My times were as follows. This put me in 68th position and I was over the moon with this. As there were 178 finishers, this was also my first top half finish in a triathlon. Thanks to jackoatbar and RaceTime Events for the opportunity to race the Desford Triathlon.